Your camper comes first at Camp Sabra. This means that we are dedicated to their health and safety above all else. While we do everything we can to ensure that no one gets sick or hurt during their time at camp, in the event that something does happen, our staff is prepared and trained to handle it. We have a full-time physician and two, full-time registered nurses on site, and our air-conditioned infirmary is located in the center of camp and is fully stocked to meet our campers’ health needs. Additionally, many of our staff members are trained and certified in Red Cross Water Safety, CPR and First Aid. We update our staff’s certifications regularly. 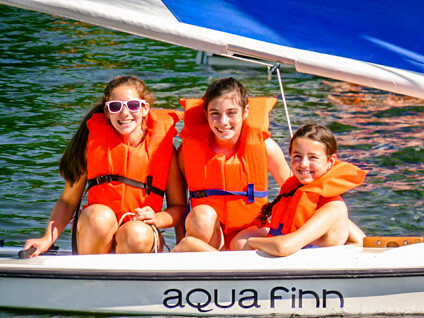 Our wellness plan for your camper goes far beyond treatment for a cut or illness. 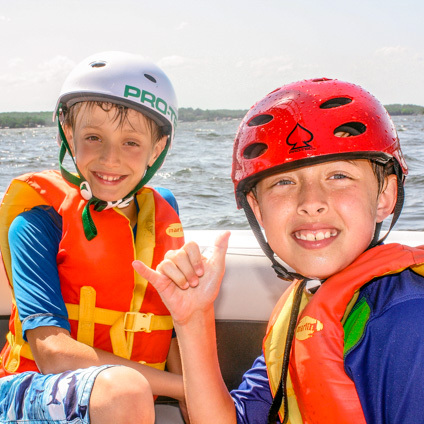 Our program includes healthy snacks, water in the activity areas, appropriate rest time, sunscreen, ear drops after lake swimming and well-balanced meals. We realize that your camper’s health must be maintained during their entire stay with us. If your child has special dietary needs, the Camp Director will do her best to work with you so that your child’s needs are met. A vegetarian option is available with all meat meals, and there are no peanut, tree nut or sesame seed products offered at camp. We provide alternative proteins such as hummus and soy-nut butter. For other food allergies, please contact the Camp Director, and we will work to make sure your child has a safe experience in our dining hall.